Nottingham 3-piece Eyre Llew have been all over gigging non-stop and have just come back from touring with Crosa Rosa in South Korea. But somehow they have managed to find time to self-record their debut album ‘Atelo’ and now they’re ready to unleash it upon the world. Having already released nine singles as well as their expansive touring, Eyre Llew are amassing an ever-growing following and with ‘Atelo’ they are ready to give something back. The album kicks off with ‘Glas’ which opens with the hustle and bustle of a train station with tannoy announcements slowly slipping into a beautiful mellow sound with dreamlike vocals. ‘Havoc’ is one of the best songs on the album. It’s musically flawless and shows just how perfectionist these guys are. With the limited resources that they had while recording and doing everything themselves, it’s just testament to the trio’s talent. 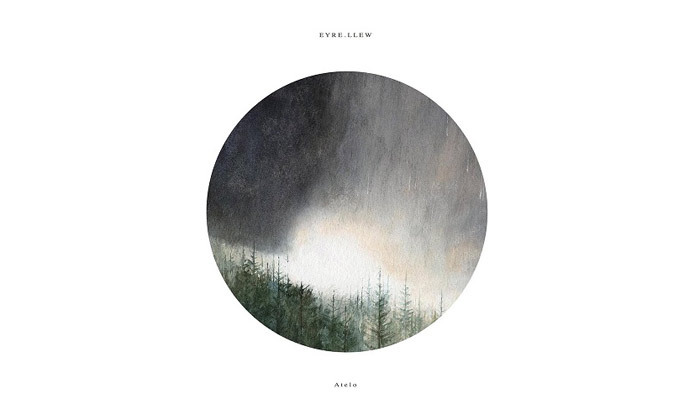 The title track ‘Atelo’, with its mesmerising melody, appears to define Eyre Llew as artists. It’s not in your face like a rock track, but hits you more in your subconscious, taking you off to a faraway place and igniting the imagination as if you were a child again. The band have managed to capture so many things that you just can’t learn as musicians; that kind of emotion, soul and meaning. Often we hear artists singing these heartfelt songs but there is something missing; Eyre Llew have found that something, and, like King Midas, everything they touch turns to gold. Eyre Llew are so much more than just an ambient rock band and once you have heard the album you will understand what this statement means. It’s perhaps a couple of songs too long for its effect, but there’s a reason why they are one of the most talked about bands in Nottingham at the moment.